By purchasing a product from blogpixie.com, you adhere to the Product License as stated below. An End Project is an advanced digital design / physical item that you plan to sell to more than one person. It must be significantly different than, and not sold in direct competition with, the product purchased from Blog Pixie. An advanced design is a design which requires time, effort and design skill to produce. You cannot slightly change the items purchased from Blog Pixie to re-sell – you must be able to create an advanced design. Your use of the items you have purchased must be incorporated into the design of your end project and you must not re-sell, share (eg. as opt-ins or freebies) or re-distribute any of the items as they are. When using items you’ve purchased from Blog Pixie in your design, your customers must not be able to extract those items for further use. A license from Blog Pixie covers you for up to 500 sales of the one end project you’re selling. If you wish to sell more than 500 units of your end project, you will need to purchase an Extended License for the product you’re using. Please contact Vanessa to discuss options. Fonts sold on Blog Pixie can be used in all personal and commercial work and in unlimited end projects for sale. You must not re-sell, transfer or redistribute the font itself in any product or template – your design using the font must be flattened so the font cannot be extracted. You, the purchaser of the font, hold the license to use the font. You must not share the font – any other users require a license of their own. 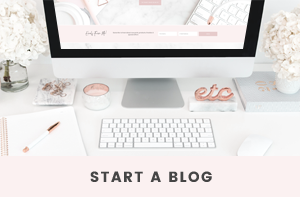 You may use your new theme on your own blog and make changes to personalise it. You must not re-sell, re-distribute or share your new theme and you must not remove the credit to Blog Pixie. These kits can be used for all personal and commercial work, whether on your own blog or on the blog of one client. You must not re-distribute, re-sell or share any of the pre-made graphics in a product, as freebies or in templates. The Instagram products sold on Blog Pixie are to be used on your personal/blog/business Instagram only. You must not sell, share or give away any of the files you receive in the packs and you must add your own text/photos to the Instagram Story Template images before posting on Instagram. 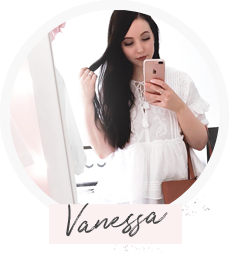 All Instagram Highlight Icons include a Blog Pixie credit watermark at the bottom of the image which must not be removed or hidden when uploading to your Instagram. You, the purchaser of the designs, have the full rights to print and use of the designs you have purchased for your brand and branding materials, including stationery, brochures, fliers, website, blog, social media and any other branding collateral. You must not re-sell or re-distribute any of the branding elements. Blog Pixie provides both high resolution and pre-sized digital files. These files will be approved by the purchaser prior to delivery. Blog Pixie holds no responsibility for any future use of the files and issues that may arise, such as printing results, uploading to website, sizing, future brand changes. Additional purchases may be required for alterations to the digital files. It is the purchaser’s responsibility to save the files once delivered and to keep them in a safe place as they will be removed from Blog Pixie’s system 7 days after confirmation of delivery. If you have any other product questions, please contact Vanessa.